Question: My wife has recently been on a major health kick. She has insisted that we take our vitamins daily, exercise, and eat right. I must admit, I do feel a lot better than I did in the past. Although I'm sticking to the program and we're doing this together, now she is insisting that I eat more fish. I have never been a big fan of fish or any type of seafood. I want to know how important is it for me to eat fish? Answer: Wow! I think it's great that you and your spouse have decided to get healthier together. Some statistics show that married people (especially men) have a longer life span than unmarried people, simply because they care a great deal about each others health and lifestyle. I guess you could say that there is an invested interested. You're wife is right to want you to eat more fish. Fish is among the healthiest and most beneficial foods you can eat. Scientific research has shown that the good fats found in fish, such as omega-3 and other essential fatty acids, does wonders for the body. Adequate amounts of omega-3s DHA and EPA, can help reduce the effects of stress on the heart and cardiovascular system. The fats in fish also help regulate inflammation in your body, reduce blood thickness and stickiness, to help keep it moving, and lower blood cholesterol levels and blood pressure. The essential fatty acids found in fish are well known as brain food. Omega 3 improves memory, the ability to remember and recall, reasoning, and focus. It also elevates mood and decreases feelings of depression, irritability, and temper. 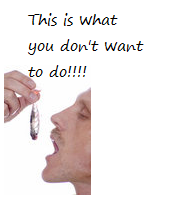 If you do not like fish or do not eat enough fish, that's okay, but you MUST take a fish oil supplement. There are many types out there, but you want to do your research. Some fish oil supplements only contain a small amount of fish oil and really would not do you much good. You want a organic fish oil supplement. So do a little research on the company before you buy, but definitely take your wife's advice and get more fatty acids and fish oil in your diet. Fish oil supplements will work best. I recommend Nutrilite Ocean Essential for Balanced Health or Ocean Essential for Heart Health depending on your needs. If you're just looking for a good fish oil then the balanced health is the way to go.